Ed. Note: You may recall that last week we published the first installment of Emil Ivov's report on SIP Communicator's participation in Google Summer of Code™. This week, Emil shares more of the project's 2009 success stories and lessons learned by the project over the past three instances of the program. Linus Wallgren from Sweden completed a task that many of us have been dreaming about for a long time now: handling SIP Communicator entirely through the command line. So what exactly does this mean? Well, now, you can exit the application, hide or show it, send or receive messages, make or answer phone calls and open or close chats, entirely through the command line. So, you remember that super script that you always wanted to do? The one that sends a message to all your online friends at 3 o'clock every morning? You can now do it thanks to Linus! His work is going to be integrated into SIP Communicator some time this year so stay tuned! Shashank Tyagi from India was accepted for the "Dude, checkout my photo!" project. His work consisted of making sure that it was possible for SIP Communicator users to upload a new photo/avatar with popular protocols like XMPP, MSN, Yahoo! Messenger, ICQ and AIM. He first started by exploring the mechanisms supported by the various protocol stacks that allowed this, discovering a few glitches on the way. 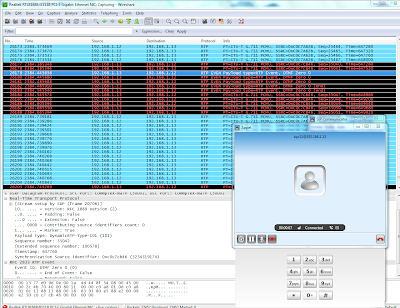 He then worked on the glue that allows the SIP Communicator protocol modules to export this functionality to the rest of the application, and the GUI. 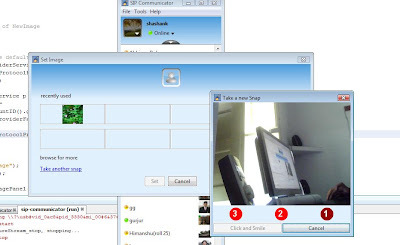 Finally, with some help from his mentor, he also managed to wrap up a module that allowed users to take a picture of themselves using their webcam right before uploading it. Cool, isn't it? Romain Philibert from France worked with us on the project "DTMF with RTP" which had the goal of providing an alternative transport for DTMF tones in audio RTP streams in addition to the existing SIP INFO method. The first phase of the development consisted of research on the possible approaches to solving the problem and the viability of each of the approaches was explored with proof-of-concept implementations. The second phase was the actual implementation of the chosen solution and involved refactoring existing source code to generalize it enough to also serve the goal of the project, employing the rearchitected design for the sake of sending and receiving DTMF tones as part of audio RTP streams, writing new UI to allow switching between the alternative DTMF transports, and creating unit tests to assure the correct operation of the functionality. Romain was exposed to communicating on our development mailing list where he reported his progress throughout the program, gathered feedback from members of our community and helped another contributor in resolving a common problem related to the unit tests. The source code he produced has been reviewed and currently awaits for a major redesign of the media service of our project to be finished in order to be updated and integrated into trunk. So, let's now get to the final part and look through the three most important lessons we've learned throughout the past three years. We are dealing with students who are still learning. As eager as they are to get things done, most of them have little development experience. Therefore if left to themselves, students would tend to over-engineer, go for a dirty hack, overlook existing documentation, misunderstand the goal of the project or a bunch of other things that seem so natural to experienced project developers. Three months is hardly enough time even for experienced developers to fully grasp the internals of a mature project that they've never seen before. It is therefore naive to expect that a student would be able to come up with a usable and integratable contribution without a fair amount of guidance. I am far from saying that you should be spoon feeding your student or do their work for them. To make things a bit more specific, I'd say that according to our experience a mentor should be ready to spend an average of about 45-60 minutes per day working with their student. Time is rarely equally spread across the summer. Our mentors would often find themselves spending up to two or three hours a day in the beginning of the program while 15 minute chats would be enough to resolve issues toward the end of the term. I know, I know ... what a cliché! Still, it took us some time to actually realize it so I think it's important to note this lesson. I already mentioned that in 2008 we took 15 students and that this was not our best year. Mentoring resources were of course part of the issue. We had 4 of our most active developers take up two students each. First, this proved to be quite hard for the mentors themselves. Dedicating two hours a day to mentoring may turn out to be an issue when this is not part of your day job. Second, it was also a problem for the other students and their mentors. Given that our most active mentors had their hands full with their own students, they had little time to spare giving advice to other mentor-student pairs when they needed it. This turned out to be a blocking factor on more than one occasion and there was no one happy with the situation. In addition to mentoring resources, a higher number of students are also hard to handle by the community itself. This means that people would be less aware of the progress of every project, there would be hence less interest, less encouragement, less acknowledgment and community integration for the students. At the end of the day, we did manage to handle things and we only had a single failed project in 2008. However, the experience was far from the pleasing memories we had from 2007. It was therefore a good lesson to learn because taking less students was one of the main reasons for a successful 2009. I believe the one-mentor-for-one-student ratio is now commonly accepted practice for Google Summer of Code and that most projects are striving for it. We definitely have done our best to avoid mentor sharing since 2008. Having more than one (non-shared) mentor per student is even better but unfortunately not always possible. Another ratio that is just as important, and probably not that popular, is the number of committers involved as mentors. Code integration represents a significant part of the effort that projects spend over Google Summer of Code. It is quite obvious that if the developer committing the work of a particular student is also their mentor, integration is going to be a lot easier than if it were someone else. For example, we had some very valuable stuff written during 2008, like support for proxies from Atul Aggarwal. Atul did a good job, but, his only mentor, despite being very technically savvy and knowing the project quite well, did not have committer access. 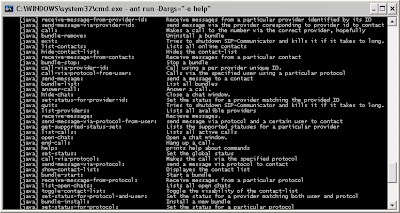 Proxy support is quite important for SIP Communicator, although not necessarily critical. Committing Atul's work however, would require an existing committer to study all his work, and there always seems to be something in the critical path for development that must be reviewed. Things would have been a lot easier if one of the people that were expert in this field had been following the project right from the start. We therefore decided to add pair each student with a committer in 2009, and each committer only had to take care of one student. The results were excellent, and as I already mentioned, we already have approx 30% of the GSoC code committed barely a week after the end of the program! "Oh, I didn't know I had to do unit testing!" or "I was never told this feature was part of the job!" The statements weren't completely false. It could indeed happen that a task would seem obvious to a mentor and in the same time feel utterly unnatural to a student. In one case, it was actually the mentor who didn't request a task that was considered important by other community members. So either way, in order to try and limit the surprises we decided that we needed to start every project with a list of clearly defined sub-tasks. This way, we thought, students would know exactly what they need to do and organize better. It would also help make sure that everyone on our side was well aware of the "official" project vision. Sounds neat, right? Well, it didn't really work out that way.. Most of the students didn't have a problem with the new system, but then again, most of the students didn't have problems without it either. One of the students we failed, however, claimed the requirements list had been misleading and had made them believe they could plan a few weeks off. When we told them that this would be risky they complained it was too late to cancel the reservations, so they didn't listen ... and eventually failed. So it appears that a list of what we believe to be specific requirements doesn't seem to change much in terms of understanding the goals of a particular project since there's always something that could be misunderstood. Clearly, continued mentor-student communication is crucial here but it seems that we'd also need explicit there-may-be-more-to-this-than-you-think notes. Phew, that sums it all up! Hope the lessons we've learned above would help others in similar situations. Good luck to all of you future Google Summer of Coders! Ed. note: Post title corrected.